Use of Our Site constitutes Your acceptance of these terms and conditions and Your waiver of any and all claims against New Beginnings Home School Association of South Carolina, its parents, subsidiaries, affiliates, contractors, agents, officers, directors or members arising out of Your use of Our Site or any materials, information, programs, downloads, opinions or recommendations contained on Our Site. All content included on Our Site, such as text, graphics, logos, button icons, images, video/audio clips, forms and software, is Our property or that of Our content suppliers and is protected by U.S. and international copyright laws. The compilation (meaning the collection, arrangement and assembly) of all content on Our Site is Our property protected by U.S. and international copyright laws. All software used on Our Site is the property of the software suppliers and is protected by U.S. and international copyright laws. You may not electronically copy or print in hard copy Our Site without the explicit written consent from Our Director. Any use-including reproduction for purposes other than those noted above, modification, distribution, transmission, republication, display or performance-of the content on a Site without Our prior written permission is strictly prohibited. Unauthorized copying of Our site, or failure to comply with the above restrictions, may result in severe civil and criminal penalties. Unauthorized duplication of the site constitutes copyright infringement and, in the United States, is punishable in a federal criminal action by a fine of up to U.S.$250,000 and imprisonment for up to five (5) years. In addition, federal civil penalties allow the recovery of actual damages based on the number of copies produced plus the profits of the infringer, or statutory damages of up to U.S.$100,000 for willful copyright infringement. WE PROVIDE OUR SITE ON AN "AS IS" AND "AS AVAILABLE" BASIS. WE MAKE NO EXPRESS OR IMPLIED WARRANTIES WITH RESPECT TO THE OPERATION OF OUR SITE OR THE INFORMATION, CONTENT, SOFTWARE OR MATERIALS AVAILABLE ON OUR SITE (INCLUDING, WITHOUT LIMITATION, WARRANTIES OF FITNESS, NON INFRINGEMENT, OR ANY IMPLIED WARRANTIES ARISING OUT OF COURSE OF PERFORMANCE, DEALING OR TRADE USAGE). IN ADDITION, WE MAKE NO REPRESENTATION THAT THE OPERATION OF OUR SITE WILL BE UNINTERRUPTED OR ERROR-FREE, AND WE WILL NOT BE LIABLE FOR THE CONSEQUENCES OF ANY INTERRUPTION OR ERRORS. FURTHER, WE TAKE NO RESPONSIBILITY FOR THE CONTENT OF ANY LINKS PROVIDED THROUGH OUR SITE, PRODUCTS OR DOWNLOADS PROVIDED THROUGH OUR SITE, FOR THE SITES OF OTHERS THAT LINK TO OUR SITE OR FOR THE SITES OF OTHERS THAT ARE LINK TO FROM OUR SITE. New Beginnings Home School Association of South Carolina has an expectation of privacy and confidentiality by anyone that calls or contacts New Beginnings Home School Association of South Carolina using any electronic communications device to include internet, email, cellular and cordless phone, meetings, and/or in person conversations. New Beginnings Home School Association of South Carolina reserves the right to share information obtained from or by NON-home school entities, with other home school associations operating under SC ST SEC 59-65-47, when deemed necessary for the protection of SC ST SEC 59-65-47 home schools and SC ST SEC 59-65-47 law. You may not modify, copy, distribute, transmit, display, perform, reproduce, publish, license, create derivative works from, transfer, make public or sell any information obtained from New Beginnings Home School Association of South Carolina web site, email, any electronic communications device to include cellular and cordless phone conversations, meetings, and or in person conversations, or association issued paperwork without the explicit written permission of New Beginnings Home School Association of South Carolina! You may not send, or cause to be sent, any part or anything posted on , with or from New Beginnings Home School Association of South Carolina web sites, email, any electronic communications device to include internet, email, cellular and cordless phone conversations, meetings, and or in person conversations, or association issued paperwork without the explicit written permission of New Beginnings Home School Association of South Carolina! 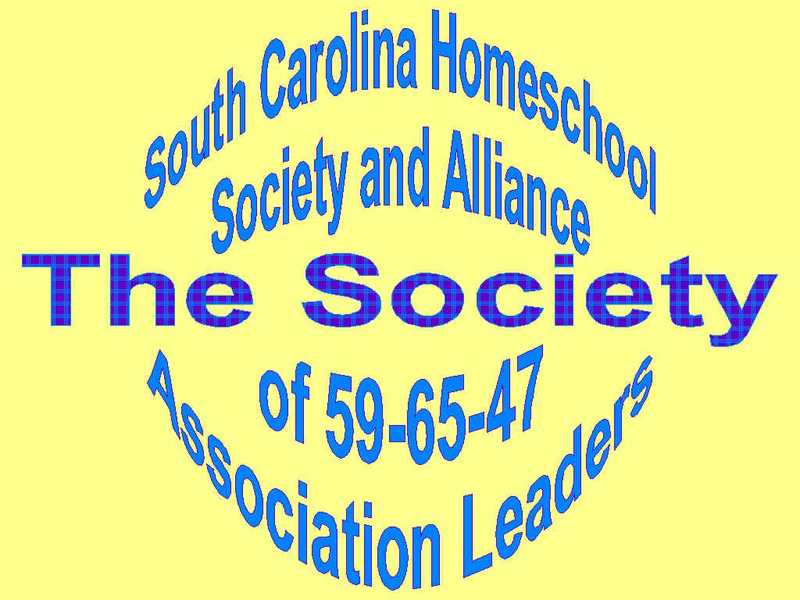 New Beginnings Home School Association of South Carolina is not a legal authority. All postings on New Beginnings Home School Association of South Carolina site, email, phone conversation (s) to include internet, email, cellular and cordless phone conversations, meetings, and or in person conversations, or association issued paperwork are opinions of New Beginnings Home School Association of South Carolina members. New Beginnings Home School Association of South Carolina mandates all members consult PPL-Prepaid Legal [http://www.prepaidlegal.com] and/ or your own private home school attorney, and/or HSLDA [http://hslda.org ] (Home School Legal Defense), and/or NHELD (National Home Education Legal Defense) http://www.nheld.com/ about SC Law Section 59-65-47 for any and all legal matters. You should refer to PPL-Prepaid Legal [http://www.prepaidlegal.com ], and/ or your own private home school attorney, and/or HSLDA [http://hslda.org ] (Home School Legal Defense), and/or NHELD (National Home Education Legal Defense) http://www.nheld.com/ for all home school legal clarifications and/or legal matters. 9.5 Compliance With Laws. You will comply at Your own expense with all statutes, regulations, rules, ordinances and orders of any governmental body, department or agency that apply to or result from Your use of Our Site. 8.7 Note: Nothing we say or post is intended to be legal advice and is distributed for the informational purposes only. It is not intended to be, and does not constitute the giving of legal advice. For more information about the laws and regulations in this state please contact your own attorney.